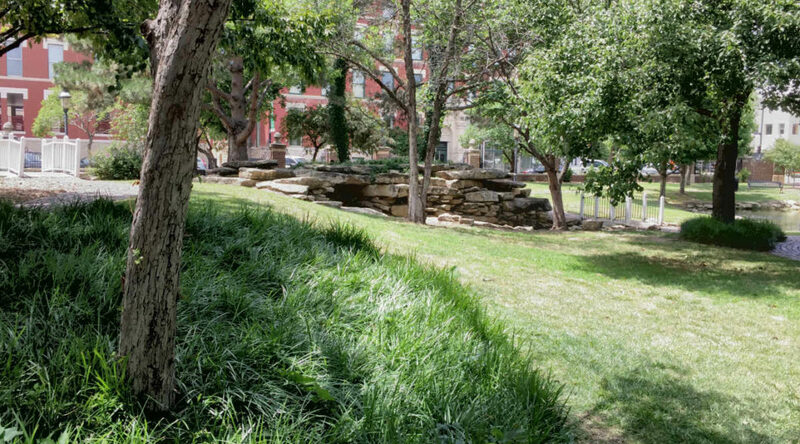 The City of Wichita seeks a construction manager for the construction of Naftzger Park. 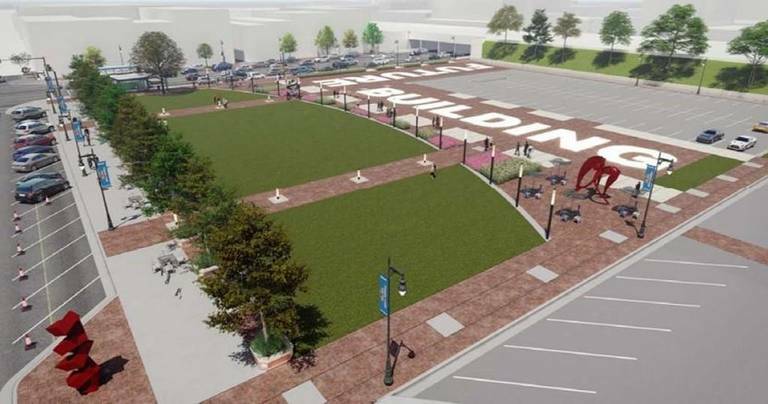 The request for qualification is titled “CONSTRUCTION MANAGER AT RISK to Construct Naftzger Park.” On the city’s purchasing website the relevant information is contained in five separate documents. I’ve gathered them together in one document, which you may access here. Referring to the planning process for downtown Wichita in 2008 and 2009, the document says, “Since that time downtown Wichita has experienced record growth.” This statement isn’t true. 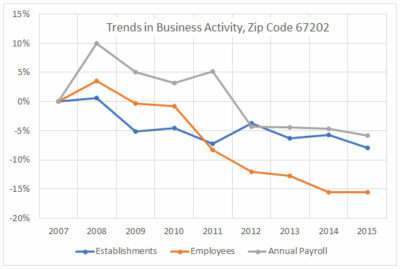 Since that time there are fewer business establishments, fewer people working downtown, and lower earnings generated in downtown Wichita. 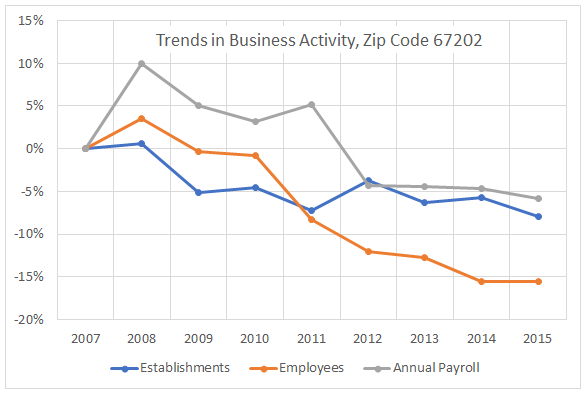 In all cases, the trend is lower. 3 There is growth in people living downtown. The document doesn’t specify the source of the $500,000, and this is the first mention of that sum, as far as I know. But the fact that management of it is included in this RFQ is more evidence that the redesign of Naftzger Park is really a project being done for the benefit of the nearby private landowner. WichitaLiberty.TV: Naftzger Park. Wichita Assistant City Manager and Director of Development Scot Rigby joins hosts Bob Weeks and Karl Peterjohn to discuss the plans for Naftzger Park. Then, Bob and Karl continue the discussion.